There are many sneaker collectors out there, but only one Jordan Michael Geller. He is an avid sneaker aficionado and reportedly owns the largest sneaker collection in the world, with around 2,500 pairs. Not surprisingly, he is also a fan of the most famous Jordan of them all, Michael Jordan. 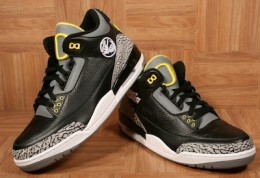 Much of Geller's collection centers around the famous signature shoe of the former basketball great. If you have the cash, that collection can now be yours. Geller is individually selling a huge portion of the shoes in his collection over the next several weeks on eBay and prices are already going crazy. 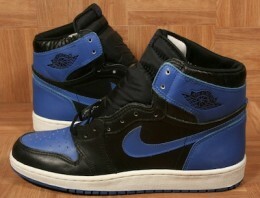 Several auctions are posted now, including many pairs of early Air Jordans from the mid-1980s. The first auctions of the event run through late Sunday night, May 12. Jordan Geller is not just any sneaker collector. His sneaker closet is literally a sneaker museum in Las Vegas, appropriately named the ShoeZeum. Geller opened the Nevada shoe shrine in 2012 after moving his collection from San Diego. Geller is featured in the 2013 Guinness Book of World Records for having the largest private collection of shoes. In February, 2013, his collection even appeared on the popular reality series, Pawn Stars, where he tried to reach a deal with the pawn shop. When his opening offer of over 2,000 pairs of Nike shoes for $1 million fell flat, haggling ensued, but no deal was reached. Now, Geller has decided to offer collectors from around the world a shot at this historic collection. 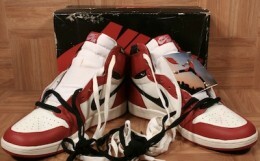 Based on early bidding, sneaker collectors are not letting this opportunity go to waste. Check out some of the top pairs below. Click on the tab above to check out the most-watched auctions in the special ShoeZeum auction. 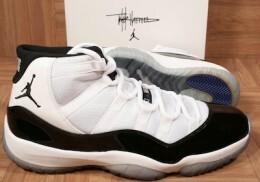 Here's a list of the 30 most-watched ShoeZeum sneaker auctions. 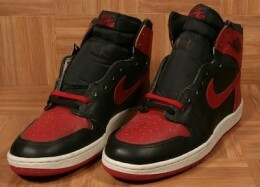 I wanted to send a picture to c if my Jordans r authentic.